Greenview homes are part of Calgary’s thriving NW quadrant and offer fantastic condo and single-family home opportunities. Despite Greenview real estate’s high quality homes, real estate in the area has remained affordable, making this one of the best areas of Calgary to find starter homes for first-time buyers and growing families. Explore the Greenview homes for sale below or find out more about the Greenview real estate community! Much of Greenview was built in the 1970s and 1980s, making the condos and houses the perfect age for new buyers. Greenview homes are young enough to avoid much maintenance or renovation cost, yet old enough to benefit from inexpensive prices. Houses, townhomes, and condos can all be found at high prices in the Greenview community. Greenview features two significant parks — Thorncliffe Park and Laycock Park — as well as numerous sports and athletic amenities. The neighbourhood and parks are connected by walking paths and join with the Nose Creek Pathway, allowing Greenview homeowners to explore their community easily. 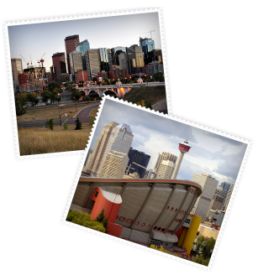 Greenview is also near several popular destinations including Nose Hill Park and Deerfoot Mall. Downtown is relatively close and can be reached in a smooth 15 minutes by car or 30 minutes by public transit. The community’s convenient access to the airport is a bonus for frequent flyers and travel enthusiasts. Kevin Niefer & Michael Beckett of the Calgary Real Estate Advantage will be happy to connect you with phenomenal Greenview homes for sale. Find your perfect condo or house by calling 403-968-1496 or messaging our team online!